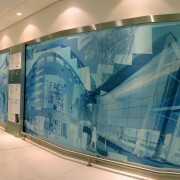 The brief comprised two locations. 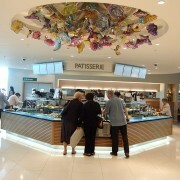 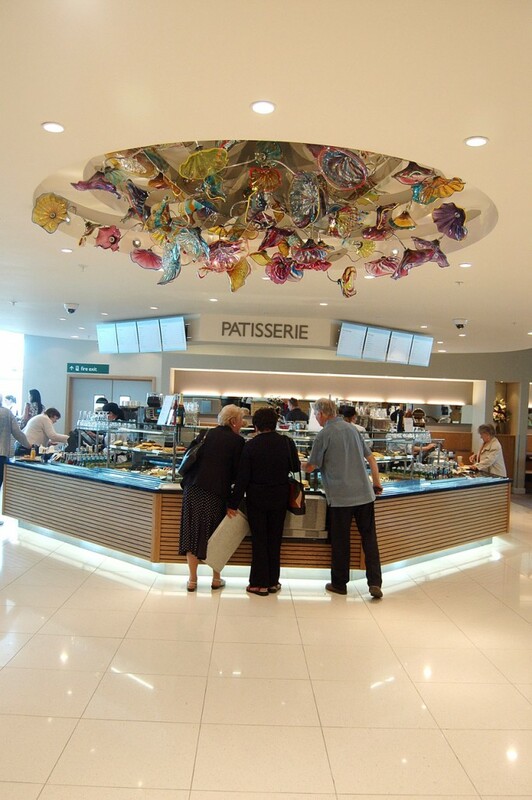 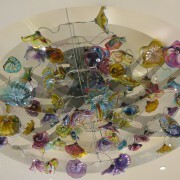 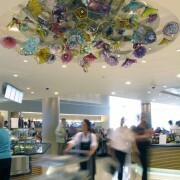 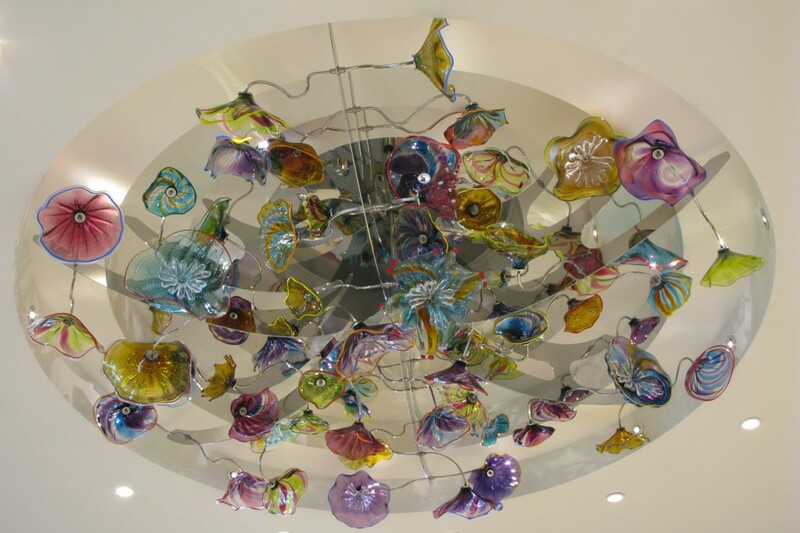 Peter Layton was commissioned to create a unique blown glass ceiling feature for A Place to Eat. 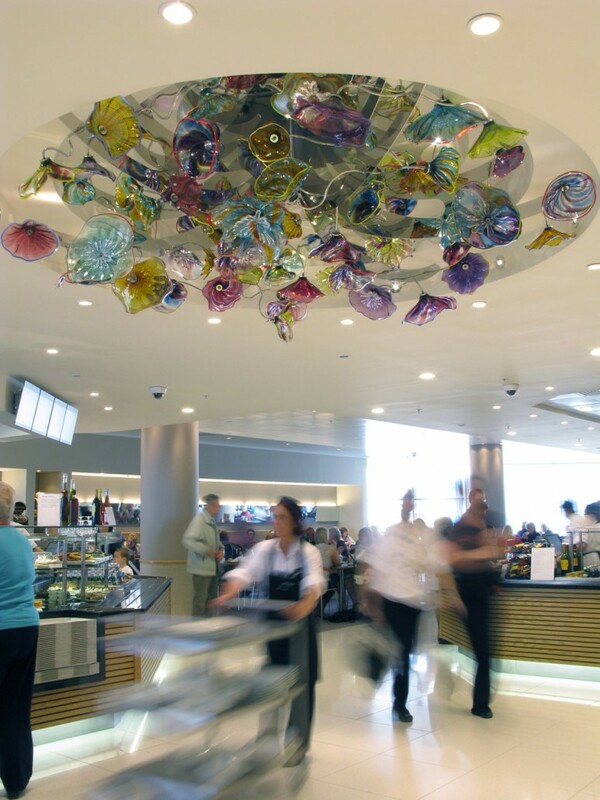 The piece consists of a central mirror polished stainless steel disc suspended from three fixings with six mirror polished, radiating pierced arms and sixty unique glass forms, coloured to complement and contrast the colour scheme, thereby enhancing the ambiance of the space. 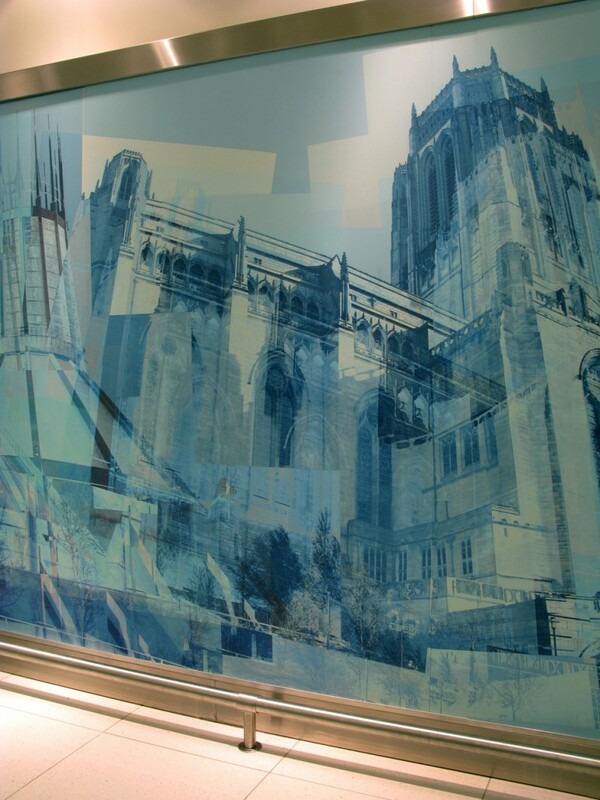 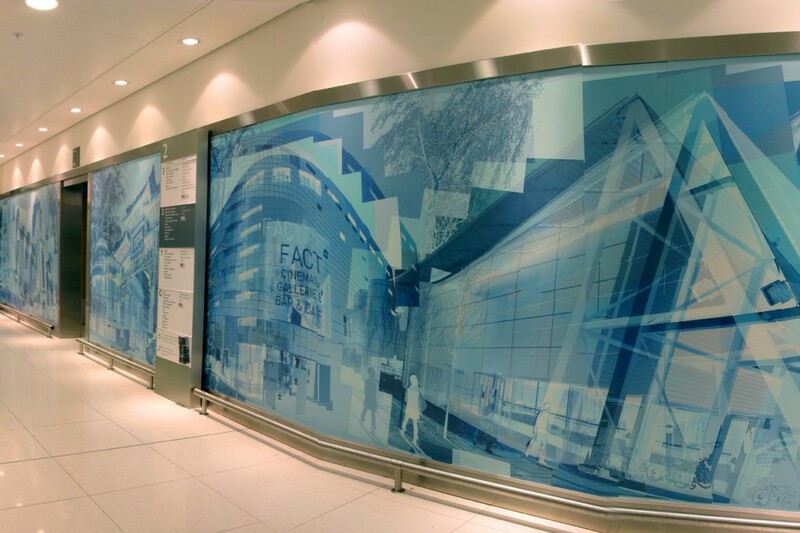 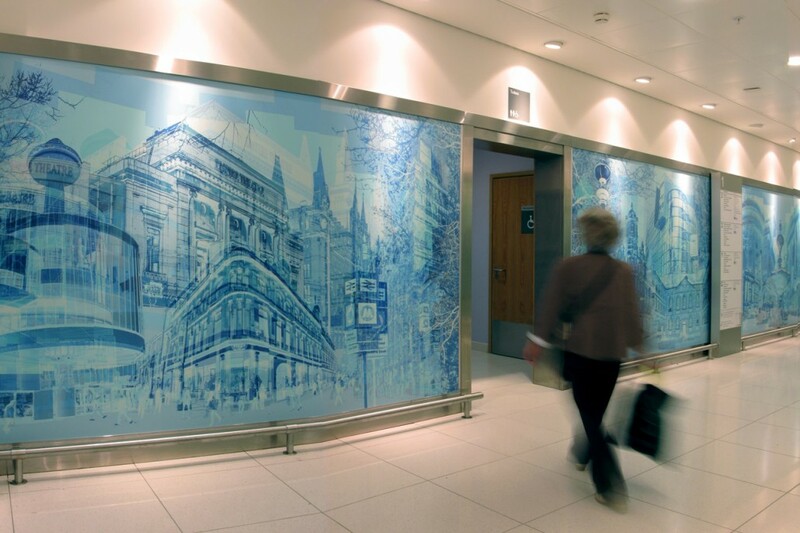 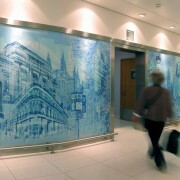 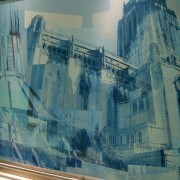 In addition, Gudawer Kalirai was commissioned to capture the spirit and essence of Liverpool by creating a series of digital works created from photographic techniques and devices, applied to laminate panels within the lift lobbies.